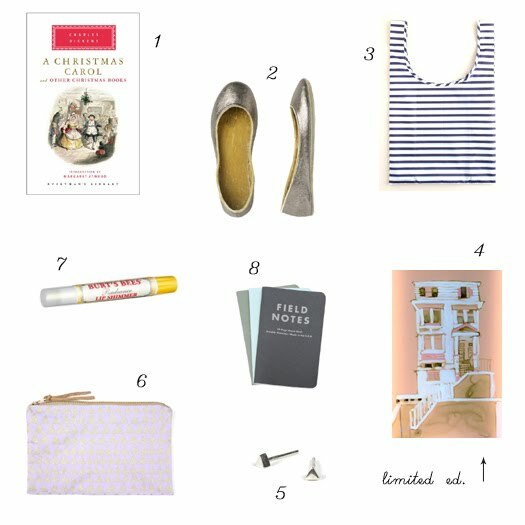 It took me about 10 minutes to pull these items together because it's pretty much my own wish list (Q, I hope you're reading). It's fun to fill little totes or pouches with homemade goodies, jewelry, classic books, or comfy slippers for girlfriends. And if I know them really well, art makes the perfect, personal gift. see no. 1-3 here: foodies, crafters, & the guys. I would love any of these. So sweet! very cute. i love that bagu tote. i'll take this entire post, please! baggu bags are the best - i use mine all the time! love these series of posts!